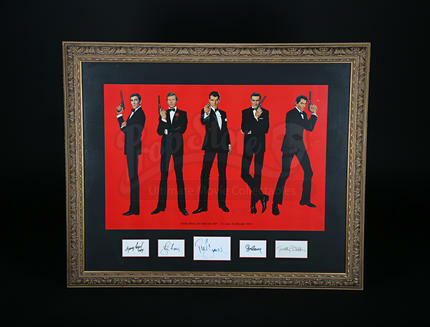 A framed picture of five James Bonds, with the actors’ autographs beneath, from the iconic British spy franchise based on Ian Fleming’s novels. 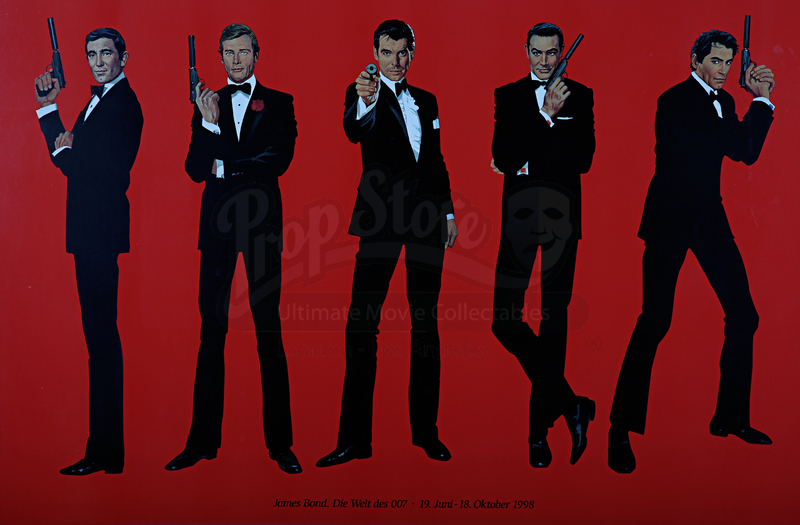 The James Bond series focuses on a fictional British Secret Service agent created in 1953 by writer Ian Fleming, who featured him in twelve novels and two short-story collections. 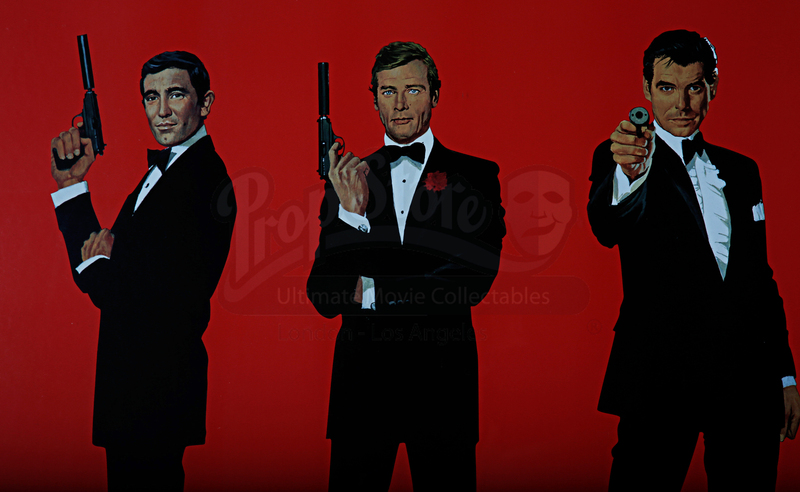 The character has also been adapted for television, radio, comic strip, video games and film. 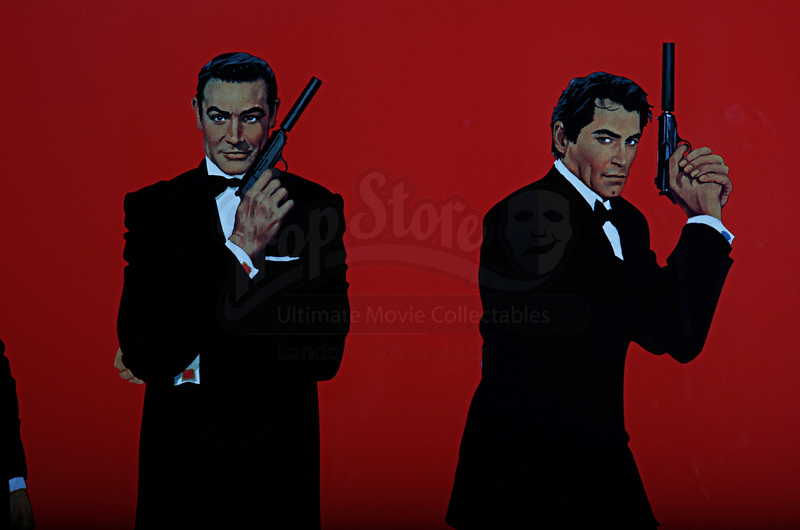 The films are the longest continually running film series of all time and have grossed over $7.040 billion in total, making it the fourth-highest-grossing film series to date, which started in 1962 with Dr. No, starring Sean Connery as Bond. 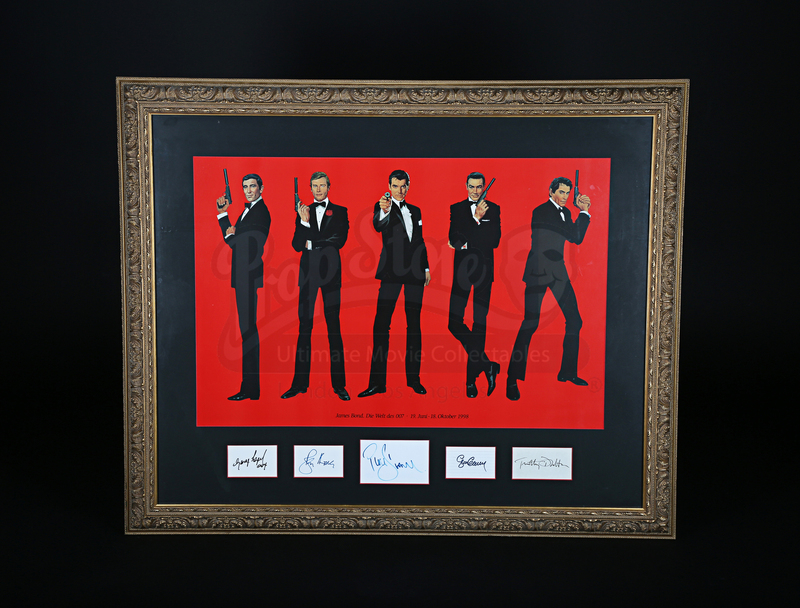 This item features George Lazenby, Roger Moore, Pierce Brosnan, Sean Connery and Timothy Dalton, with their autographs below. 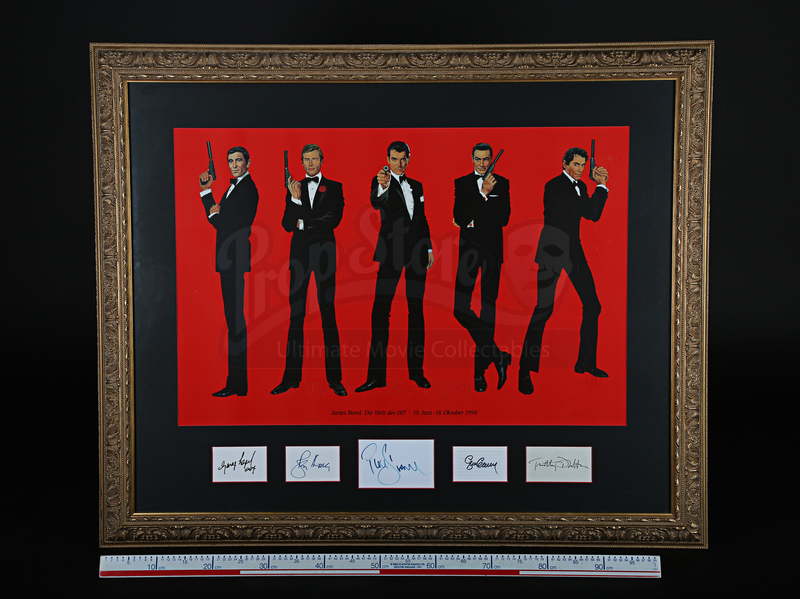 The picture comes presented in a large ornate wooden frame painted gold and is in excellent condition. 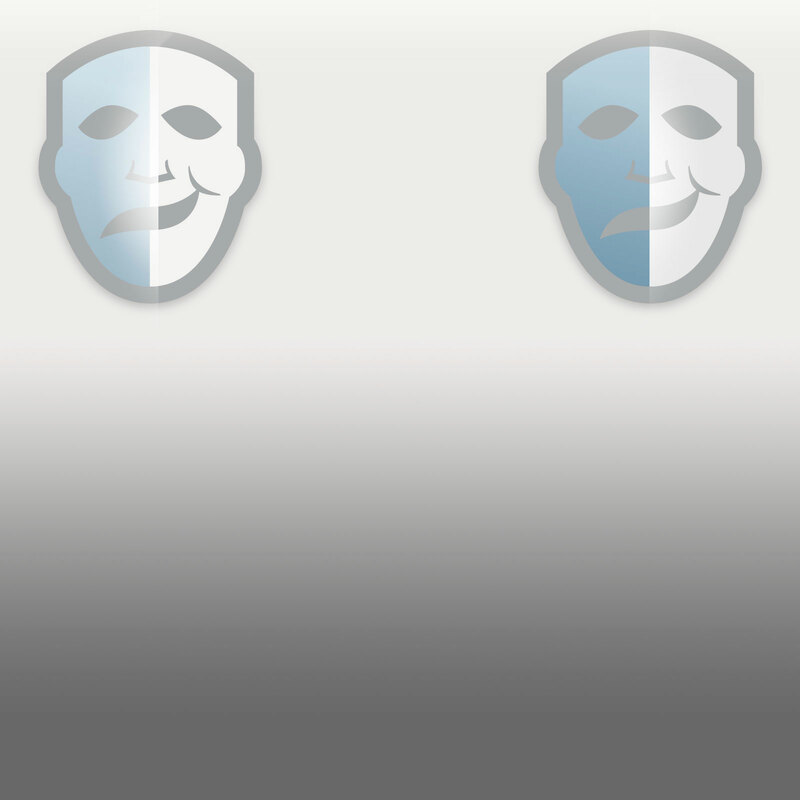 Materials: Wood, Paper, Glass, Card.